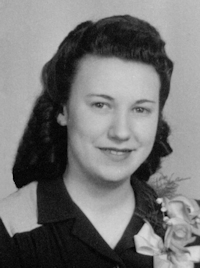 Obituary – Buffington, Lela Mae (Kukuk) « Perry High School Alumni Association, Inc.
Lela Mae Buffington, 86, of Perry, Oklahoma, was the daughter of Fred Carl William and Anna Margaret Gerke Kukuk. 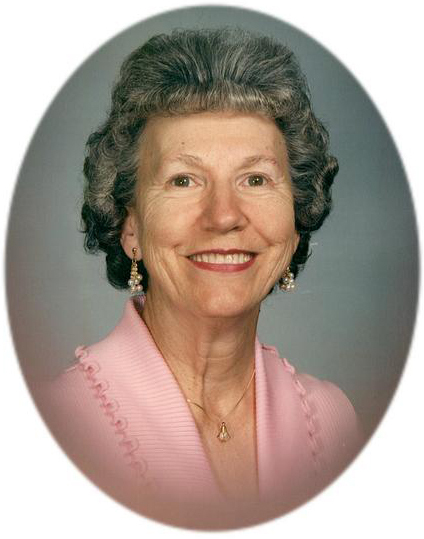 She was born April 14, 1923 in Perry, Oklahoma and died Friday, April 2, 2010 at Green Valley Nursing Home. She was a 1940 graduate of Perry High School. Lela married Hamilton Otis Buffington on November 1942, in Perry, Oklahoma. She was an active member of Christ Lutheran Church where she never missed a service unless she was ill. Lela enjoyed reading, listening to country music and her flowers. Her true passion was spending time with her grandkids. Funeral services will be 2:00 p.m. Monday, April 5, 2010 at the Christ Lutheran Church. Rev. William Metz will officiate. Interment will be in Grace Hill Cemetery. Services are under the direction of BrownDugger Funeral Home. The family will receive friends from 6:00 to 8:00 p.m. Sunday, April 4, 2010 at BrownDugger Funeral Home. Memorials may be made to Christ Lutheran Church or the American Diabetes Association in care of BrownDugger Funeral Home, 1010 N. 7th Street, Perry, Oklahoma 73077. Lela is survived by three daughters Martha Ann Buffington, Patricia Decker and her husband Raymond, all of Perry, Oklahoma and Peggy Jo Beale and her husband Danny of Van Buren, Arkansas, six grandchildren Danyal Beale of Ottawa, Canada, Dawn Decker Cundiff of Coyle, Oklahoma, Amy Decker Downey and her husband Charles, Bradley Beale and his wife Crissa of Fort Smith, Arkansas, Shannon Howard of Warner, Oklahoma, and Scott Allen Moss of Perry, Oklahoma, thirteen greatgrandchildren Travis, Teaner and Dillon Downey and Tyree Cundiff all of Coyle, Oklahoma, Christopher, Brandon and Zachary Moss of Perry, Oklahoma, Mercedes Beale of Warner, Oklahoma, Jennifer and Karrie Beale of Fort Smith, Arkansas, Nicholas Beale of Wagoner, Oklahoma, Tristan and Lucas Beale of Ottawa, Canada, and one sister, Alva Leonard of Dallas, Texas. She was preceded in death by her parents, Fred and Anna Kukuk, five brothers Walt, Ernest, Carl, Clarence and Raymond Kukuk, and three sisters Anna Piel, Jo Ehler and Stella Showman one infant sister, Leslie Kukuk and one granddaughter Angela Beale Moss.